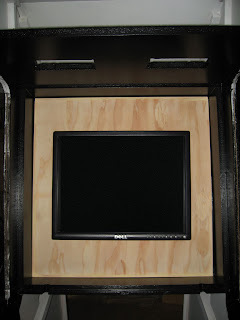 I'm going to use a Dell 2000FP LCD monitor for the cabinet. 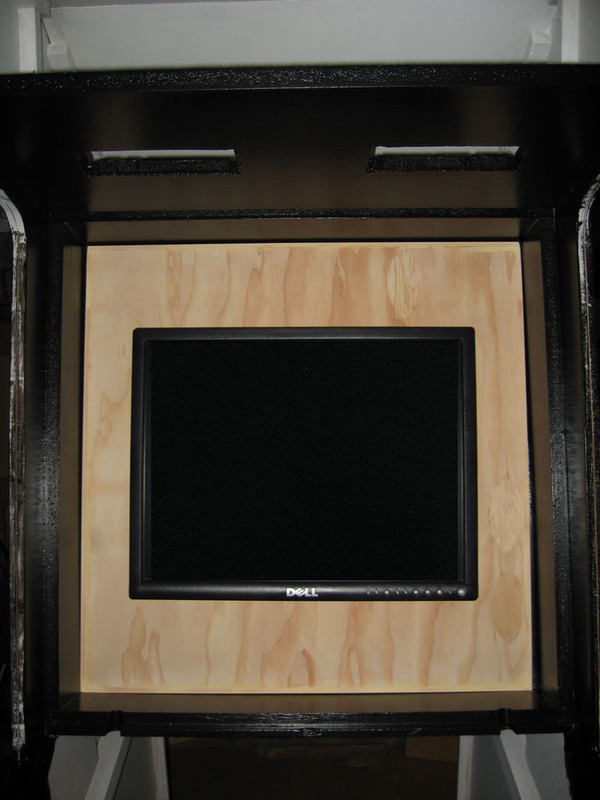 I picked up a VESA wall mount, then attach that to a sheet of plywood that will mount against the frame where the cabinet's original tube monitor mounted. I had to remove the back of the monitor bezel, the plastic was formed in a way that prevented the mount from working. Now I need to paint the wood and secure it inside the cabinet.